In 2019, God is calling the church in our city to go on a journey into His heart and together into oneness. Come with us as we prepare through prayer gatherings and equipping events leading up to August 2019! 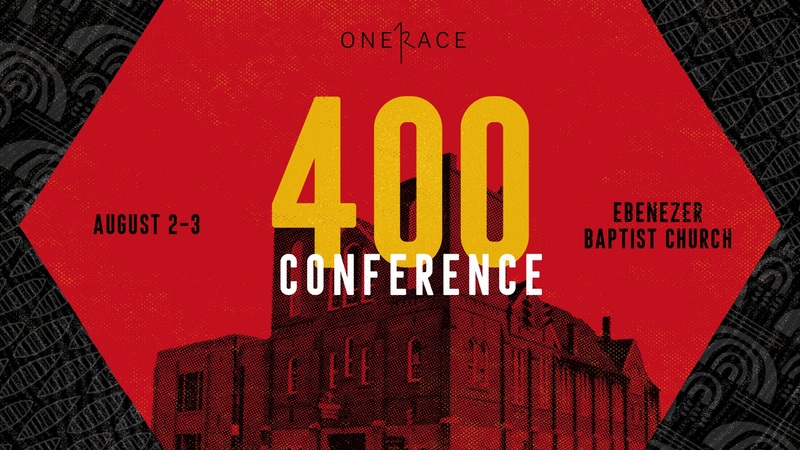 Join us for the 400Conference on August 2-3 at Historic Ebenezer Baptist Church, a 21 Day Fast, and the Day of Remembrance on August 25th at participating churches. You’re invited to go on this The Journey with us! Scroll below to see each step of The Journey! 400Conference is a special event, intended to launch us into a journey into the heart of God in the month of August, commemorating 400 years since the introduction of African slaves to America. Join us for this special gathering, where we will seek to know the story of our collective history regarding the church and race, so we can own, and ultimately change that story together! In this hour, the church must demonstrate leadership by speaking with clarity regarding Biblical justice and racial reconciliation. We believe this season of remembrance can act as a healing balm to the racial wounds of our nation, furthering spiritual renewal. You don’t want to miss this powerful conference on August 2-3, 2019 at the Historic Ebenezer Baptist Church in Atlanta! Register now to reserve your place, and let us seek the face of God to change history together. Speakers Include: Dr. John Perkins, Louie Giglio, Billy Humphrey, Bishop Garland Hunt, Latasha Morrison, Justin Giboney, Unite Team Atlanta, Lee Jenkins, John Hambrick, and Leonce Crump. Worship Artists Include: Jon Thurlow, Daniela Barroso, Caleb Andrews, Joe and Christian Leaphart, and Eddie James. 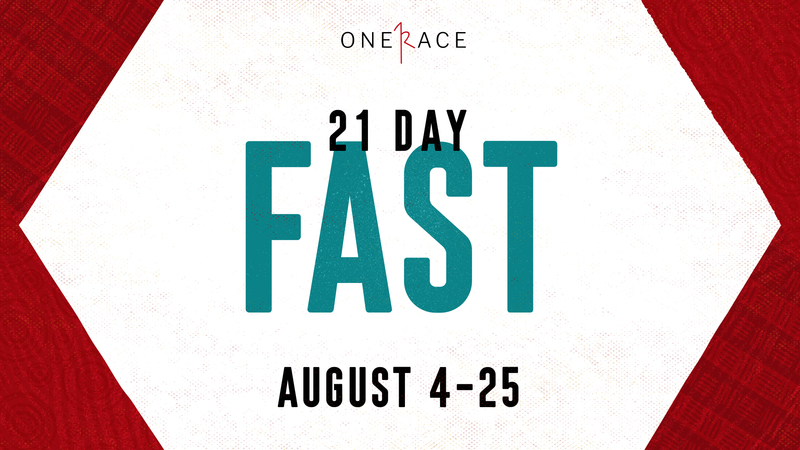 You’re invited to join OneRace for a 21 day fast for spiritual breakthrough. From August 4 -25 we will be contending for racial reconciliation in our nation and revival to come to our land. Please join us as we prepare our hearts for the Day of Remembrance and unite together in fasting and prayer in this season. 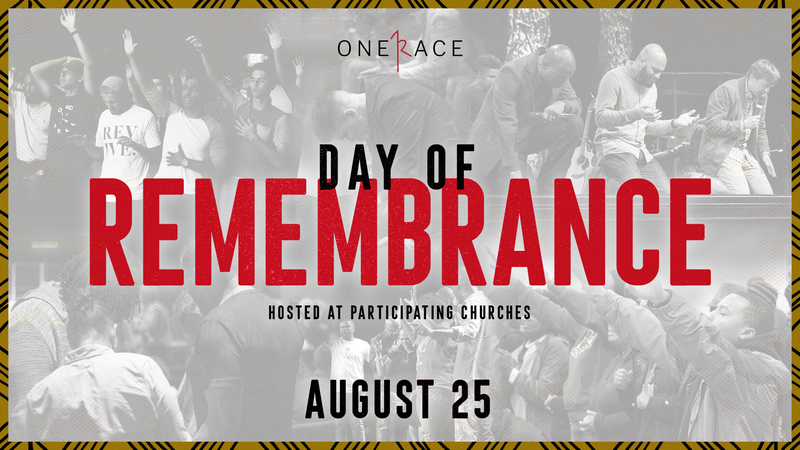 OneRace Movement is calling the church to the Day of Remembrance on August 25th of 2019 to commemorate the introduction of slaves to the United States at Jamestown, Virginia in 1619. This year marks the 400-year anniversary, which will provide a significant opportunity for the church to engage in the national discourse around the celebration and lamentation of the African American legacy. Lamentation and celebration are key expressions that will comprise the Day of Remembrance and the season leading up to it. We will invite people into a special service hosted at participating churches across our city on Sunday, August 25th. The service will be comprised of times of reflection, response and resolution, intended to unite and strengthen the Body of Christ. You can register as an individual and sign up to receive more details about participating churches, or as a Senior Pastor, you can register your congregation as a participating church to host this special service.